Dr. Satvi Pinnamaneni ("Dr. P") acquired her Doctorate of Dental Surgery at the best dental school in the nation, according to US News and World Report: the University of Texas Health Science Center at San Antonio School of Dentistry. While there, Dr. P was active as a class officer and participated in many service projects in and around South Texas. Even now, she continues to participate in giving back to the community, both local and international. Her most recent project was practicing dentistry in under-served areas of Guyana, South America. After completion of dental school, Dr. P then distinguished her dental training by completing a two year General Practice Residency (GPR) in New York City, at Bronx Lebanon and Brooklyn Hospitals. During her residency, she became certified for intravenous (IV) and oral sedation and attained extensive implant and cosmetic training. Then, while working in private practice, Dr. P worked as a part time teaching attending at Brooklyn Hospital. As an attending faculty, she lectured to the medical department in the hospital, as well as dentists in private practice, about recently discovered Bisphosphonate Related Osteonecrosis of the Jaw (BRONJ). Dr.P is a strong proponent of continuing education and takes every chance she can to take part in advanced courses to keep up with the latest technology and treatment options. Dr. P's practice philosophy is comprehensive, preventative dentistry. She not only enjoys giving a reason for her patients to smile, but also loves teaching them how to avoid future problems from happening by early detection and regular hygiene maintenance. Dr. P is a strong supporter of the idea that having a healthy mouth is directly related to having a healthy body and mind. 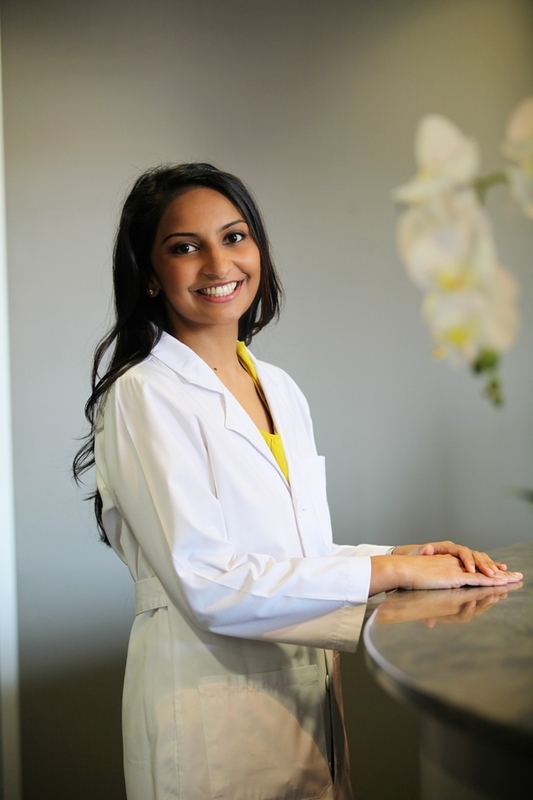 She believes in providing the highest standard of patient care in a relaxed and comfortable environment. Dr. P is a member of the America Dental Association, Texas Dental Association, Greater Houston Dental Society, and Academy of General Dentistry. She is on the path for Fellowship to the Academy of General Dentistry which requires her to take an exam and 500 Continuing Education hours to become a Fellow. In her leisure time, Dr. P enjoys spending time with family and friends as well as traveling. Her favorite place to visit is Costa Rica where she enjoys the mix of rain forests, beaches and raw non-commercialized aspect of nature.